Meet Oklahoma’s BEST wedding professionals … Without driving all over town! MEET the area’s most trusted wedding experts. SEE spectacular fashions. FIND new ideas. RECEIVE expert advice. TASTE cakes and catering specialties. SAVE time and money. DISCOVER all of your options. Each show is a Unique Experience, so explore our site to learn more about the shows you want to attend! 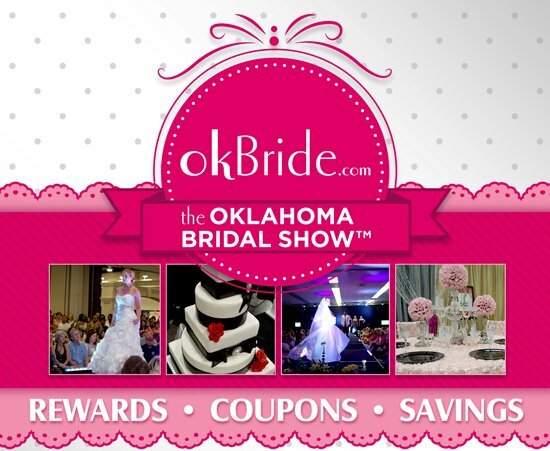 Oklahoma Bridal Show™/okBride.com has produced 60+ premiere bridal shows since 2002. 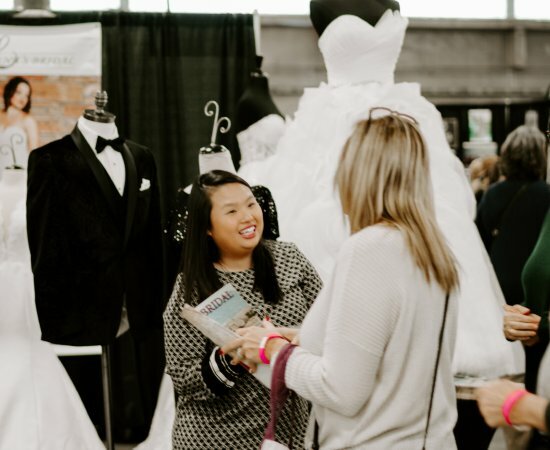 We are proud members of Bridal Show Producers International (BSPI), an industry professional association, National Association of Consumer Shows (NACS) and the Oklahoma City and Tulsa Chambers of Commerce. Our goal is simple; connect the beautiful bride with the best wedding professionals. Follow us on social media to get great ideas for bridesmaids' showers, wedding decorations, favors, invitations... Check out our pins to see photos of splendid wedding reception venues and ceremony sites. We also offer a whole lot of fun information to help keep you calm! Looking for ideas for your bridesmaid dresses, flower girl, or tuxedos for the groomsmen? Our fashion shows are the best place to a view a wide assortment of designer gowns and dresses. 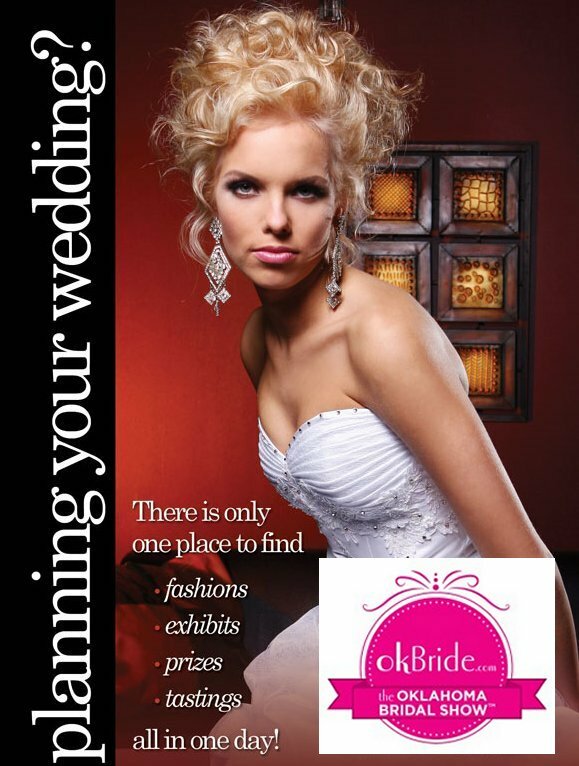 Visit our Bridal Attire / Formal Wear page to see a list of businesses that participate in our bridal expos. On our website and at each wedding show, our exhibitors often: offer discounts, sponsor contests, and award prizes. They are in competition for your business. This is one of many reasons why attending a show is beneficial for you and your family. Now you can save money so you can better afford the wedding of your dreams. Don't pay full price for products and services that you can get at a discount! okBride.com provides you a wealth of wedding planning tools to help you stay in budget and get everything done in time! We refer to these tools as Your Bridal Suite. We provide our easy to use wedding organizer tools to you free of charge. Until you have an actual wedding date, it is difficult to accomplish many necessary tasks. Check out regional wedding reception venues and cermony sites in our professional pages.